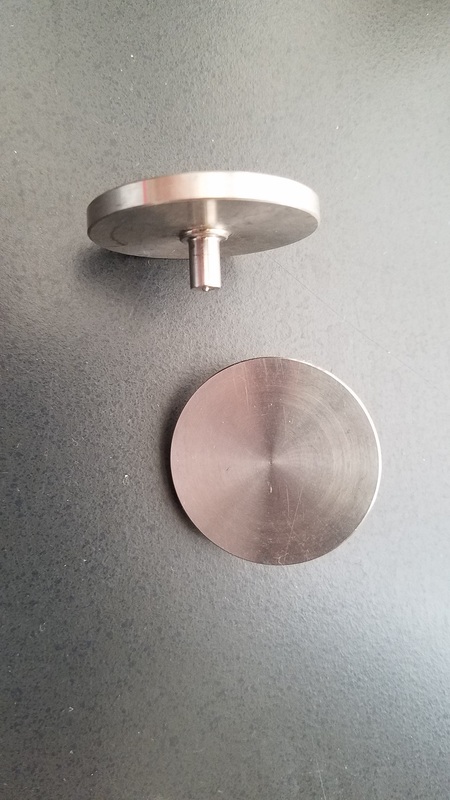 This Stainless Steel 38mm Swing Valve puck is used to correct 2 issues. It will allow you to increase the port size of an internally wastegated turbine housing to prevent boost creep. This could save you the time and expense from having to switch to an external wastegate set up. When our 38mm puck is used to control boost creep only enlarge wastegate port in small increments until control is maintained. Going too large might require a stronger wastegate actuator to combat the increased exhaust pressures. This 38mm puck will also cover the wastegate hole in case the existing Swing Valve puck is not located correctly. Turbine housings and Swing Valves are both products that are cast and machined. Sometimes cast items experience core shift during manufacturing. When assembling with other cast products the stacking deviations could prevent the joined items from operating properly. Additional variables like machining and welding can amplify the situation even more.